Benders Paper Cups have designed six separate high-quality paper cups for Falkingham & Taylor (F&T) to spread the word about the City of Culture (CoC) 2017. 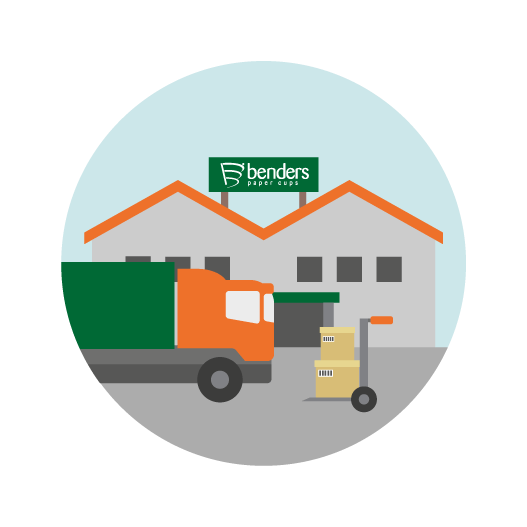 Benders are a UK manufacturer with full PEFC Chain of Custody Certification and are one of the few manufacturers who can deliver beautifully branded paper cups with water based inks. With their long experience in paper manufacturing and commitment to the environment, they were the natural choice for this high-profile project. Benders’ involvement in the project began with a request from Maxine at F&T, and Jonathan from Benders accompanied Maxine to the CoC meetings to get their approval and ensure all of the design requirements were met. The project design was led by the City of Culture and is under license, with Benders having a contract for the cups. The cups are split sleeve and each design has a new message and a vibrant colour to attract the eye. With several designs, there is an element of surprise when taking a City of Culture cup from vending machines. The City of Culture asked for backers and F&T were proud to help. From start to finish the process took over 3yrs. F&T are also proud of the fact that they are the only vending company associated with supporting the City of Culture. F&T are helping to spread the word with the help of Benders, not only locally or regionally but worldwide. CoC cups have already been spotted in North Island, New Zealand. Falkingham & Taylor have been trading for over 50 years. They are based in the City of Culture in Yorkshire and have nationwide cover provided through AVS. They are one of the longest established and leading professional companies within the area, with AVS membership, and an emphasis on quality, having been ISO registered since 2007. 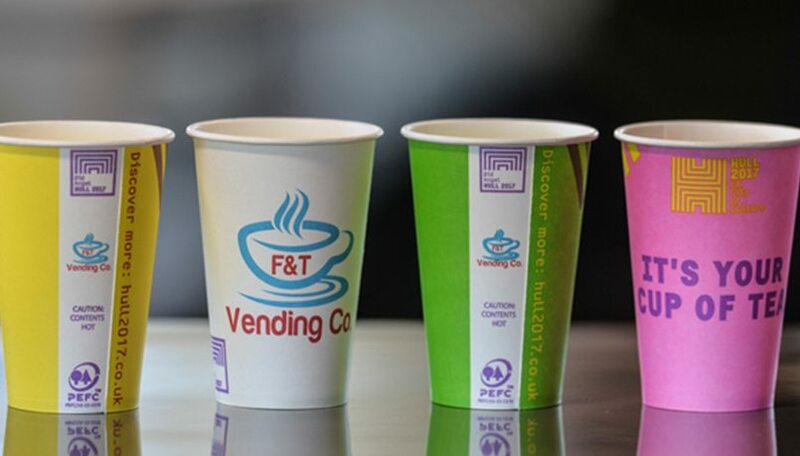 F&T operate within many market channels, including vending operators, with many millions of cups used across various sizes. They offer wholesale, supplies and maintenance, chilled food, barista, water coolers, and all beverage requirements. They also offer 24/7 service and have a full chilled food service. Bender Paper Cups are delighted to have worked on this exciting project to develop such a strong brand for the CoC cups and look forward to maintaining and deepening the strong partnership we have with F&T.